At The Rodon Group, we’re committed to nurturing an ethos of environmental sustainability in everything we do. Over the years, we’ve instituted a number of green initiatives, all of which have helped us become one of the most sustainable leaders in the plastic injection molding industry. The Rodon Group was among the first injection molding facilities to be recognized for its green manufacturing efforts by Sustainable Waste Solutions (SWS), which officially designated us as a Landfill Free Facility. 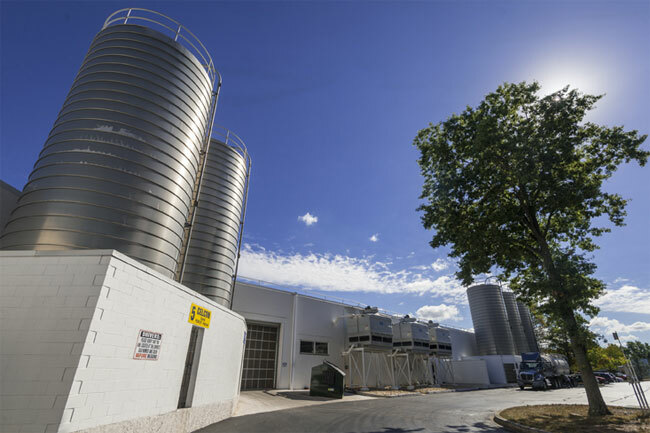 SWS is a leading provider of environmentally friendly waste management solutions for various industries throughout Southeastern Pennsylvania, Lehigh Valley, and Delaware. Every ounce of scrap generated at Rodon facilities is taken in by SWS; they then either recycle it or process it in advanced energy-from-waste facilities, generating enough electricity to power tens of thousands of homes throughout Southeastern Pennsylvania. We buy our largest volume resins in bulk and store them in silos, with nearly 10,000,000 lbs of resin annually. We recycle more than 20% of all cardboard boxes coming into Rodon facilities, and this percentage continues to grow every year. We also conserve cardboard on the way out, making use of servo robots to stack completed goods for shipping. Not only does this reduce packing time, but it also reduces wasted space. Today, cartons shipped from Rodon are between 300% and 400% more full than they were in the past, significantly reducing overall cardboard use. We’re proud to offer all of our customers a returnable and reusable packaging program as well. The Rodon Group is also a member of Energy Curtailment Specialists (ECS), the largest private demand-response provider in North America. We joined ECS’ program to improve our energy-use practices, implementing various common-sense energy savings initiatives, such as simple motion-sensor-activated lighting setups to save electricity. We’ve also established more complex demand-response operations; for instance, we reduce our energy use during peak periods of demand (usually during the extremely hot summer months) to help maintain electricity availability for the surrounding community and minimize the risk of blackouts. The Rodon team has been recognized by PPL Electric Utilities Corporation for our energy-efficient initiatives and was also included in the E-Power Energy-Smart Business Honor Roll thanks to our various efforts. All colorants, resins, lubricants, and cleaners — every chemical used during production in Rodon facilities — are guaranteed to be nontoxic and nonhazardous. 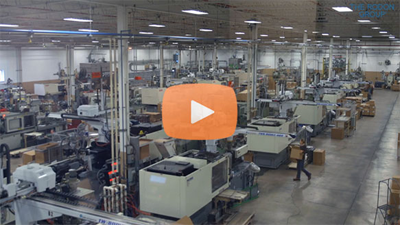 Additionally, all resins we use for our large-volume injection molding processes come from sources that have been certified by the FDA, RoHS, REACH, and NSF. These nontoxic chemicals and resins are not only better for the environment, but they’re also better for our staff, our customers, and our end consumers. All Rodon employees support the single-stream recycling program within the facility. We also contract with AERC Recycling Solutions so staff and family members can recycle household items including used lights, electronics, computer equipment, batteries. At The Rodon Group, we take corporate responsibility seriously and are committed to environmental stewardship.